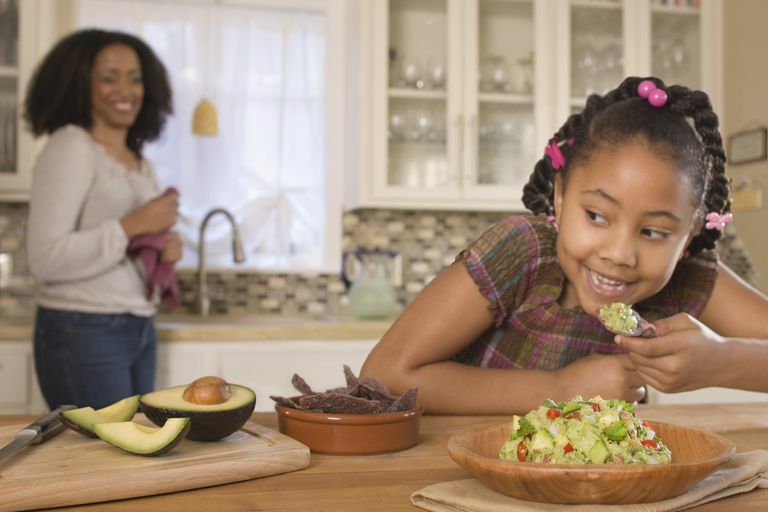 With all of the talk about a child obesity epidemic, many parents are likely surprised that some have to look for tips on gaining weight. Gaining weight should be easy, right? Just do all of the things that experts advise that you don't do when you are concerned about being overweight. Of course, that doesn't really work. For one thing, kids who have problems gaining weight usually don't have a very good appetite, so they don't eat much. And simply trying to overeat or to eat whatever you want to gain weight isn't necessarily going to be healthy. Although many parents think that their kids don't eat as well as they would like, unless they are actually not gaining weight well, it may not really be an issue. If your child is thin and eats too much junk food, encourage healthier eating and get him to take a multivitamin if you really think he is missing out on important nutrients. Kids who really need help gaining weight might include those who are underweight, children with chronic medical conditions who may need a special diet, and most commonly, children who take medication that may interfere with their appetite. Gaining weight can especially be a problem for some kids taking stimulants, such as Adderall XR, Concerta, or Vyvanse, to treat ADHD, even after adjusting the dosage or changing medications. Eating high-nutrient, energy-dense foods, which are high in calories, but also have vitamins, minerals, and other nutrients, such as whole milk, yogurt made with whole milk, peanut butter, etc. Most importantly, encourage your child to eat when he is most hungry, and to at least eat something, instead of totally skipping a meal, if he isn't hungry at a certain time of day. You might also make a list of the foods that your child actually likes to eat and then try to find more nutrient-dense and energy-dense versions of those foods. This should include fruits and vegetables and a variety of foods from all of the food groups. For example, adding 1 to 2 tablespoons of powdered milk to 8 ounces of whole milk (150 calories) can add an extra 30 to 60 calories to your child's glass of milk. Or you could add a packet of Carnation Breakfast Essentials to a glass of whole milk and add an extra 130 calories to that glass of milk for a total of 280 calories. You can also substitute powdered milk for water in some recipes, like when making pudding or oatmeal. Or you could add a serving of cheese to some of your child's favorite foods to boost them by about an extra 60 calories. Even a banana can get a boost of calories by adding a tablespoon of peanut butter, to get your child an extra 100 calories for this snack. Keep in mind that many of these tips for gaining weight aren't usually necessary for toddlers who only eat one meal a day. This can be developmentally normal at this age, as many toddlers and some preschoolers may only eat one good meal a day and they will only pick at the other meals. This kind of toddler diet is usually normal as long as your child doesn't overdo it on milk and juice and he is gaining weight well. Adam Drewnowski, Victor Fulgoni III, Comparing the Nutrient Rich Foods Index with "Go," "Slow," and "Whoa" Foods, Journal of the American Dietetic Association, Volume 111, Issue 2, February 2011, Pages 280-284. American Dietetic Association. Healthy Weight Gain. www.eatright.org/Public/content.aspx?id=6852.